Pete Souza's unforgettable images remind us of a Presidential era that filled us with hope and pride. Now with the launch of his new book Shade: A Tale of Two Presidents, Pete is calling all fans of his work to #throwshadethenvote and get out the vote before the midterm elections. Pete wants YOU to volunteer on his team on #TheLastWeekend before the midterms! See Pete's work now on view at the Steven Kasher Gallery in New York City now through December 8th, 2018. 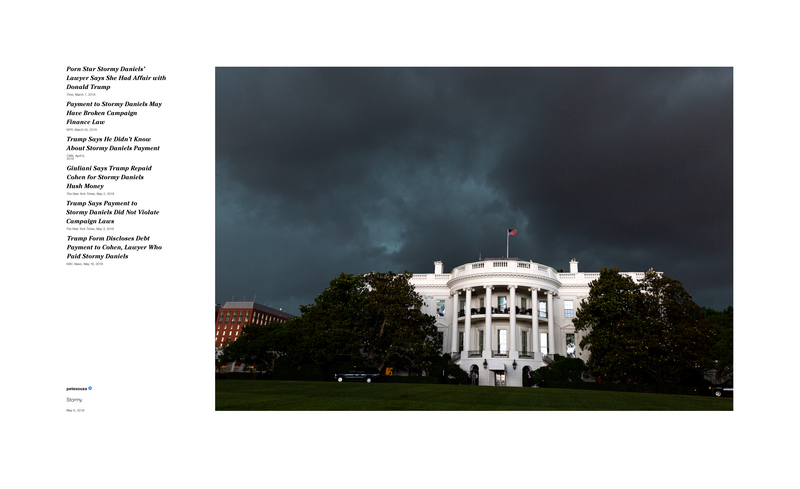 Pete Souza: Throw Shade, Then Vote features 13 photographs with texts that are portraits in Presidential contrasts. Steven Kasher Gallery is located at 515 West 26th Street. The person who recruits the most volunteers for Pete's team will get a signed limited-edition of Shade #3, valued at $3,000. View full contest rules here. Sign up for The Last Weekend! Recruit your friends to join Pete's team! Don't forget—throwing shade isn't enough this year. Photo used with permission from the Steven Kasher Gallery. Thanks to Steven Kasher for his support and guidance on this project. Promotion ends October 15, 2018. Subject to Official Rules & restrictions on eligibility. Sponsor: Swing Left, 700 13th Street, NW, Suite 600, Washington DC 20005. *Volunteering is not necessary to enter or win a copy of the book. Click here to be entered without signing up. Each book is valued at approxiumately $30. Void where prohibited.